As winter is arriving again we are feeling lower temperatures and foggy conditions in the morning and evenings. These foggy conditions can persist till quite late on some days. This impacts our VFR visibility and depends on weather related factors. Visibility is transparency of air. Day or night makes no difference. 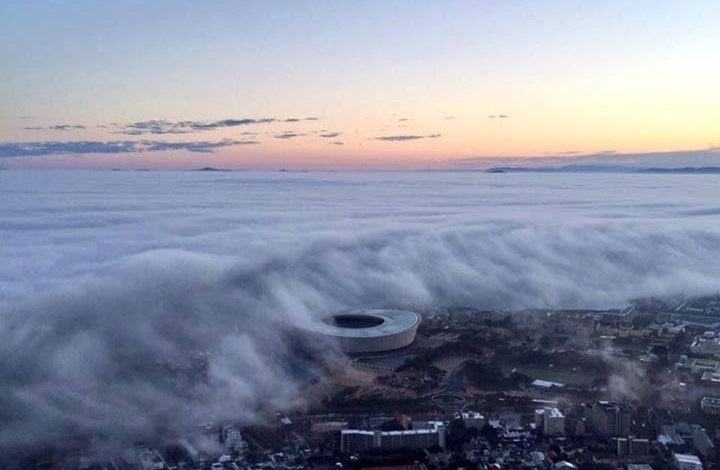 South African CAA Law requires a minimum flight visibility, and In Class C,D,F & G below 10000ft it is 5km. Haze (HZ): Dust particles reducing visibility +<5000m. Both require nearly 100%RH and loads of condensation nuclei. Condensation in the air happens when the dew point temperature is met and saturation is reached. When pilots understand this thoroughly, it contributes greatly to their safety. After sunset, the Earth does not receive solar radiation (called insolation) anymore, the surface will start to cool. With no cloud layer, this radiation is a maximum into outer space. Clouds will slow this cooling process. The air layer adjacent to the earth cools through conduction. With small Temp/Dewpoint spread, and if the %RH is high enough, only a little cooling is needed for the air to saturate. This forms a very thin layer of very cold saturated air over the earth, and dew may form. For radiation fog to form, there must be very light wind too. This mixes the saturated lower layers and cools a greater layer of air to saturation. This forms as Radiation Fog. This can form really quickly (<30min) for the whole Cape Town/Boland area. Too much wind will change it into low stratus clouds. Advection is horizontal movement of air. When fog has already formed over the sea, it can persist there for days. A light sea breeze can move this fog over land. When the land is warm it will only cover the coastal area. If there is warm moist air over the sea, and this is then blown in over land that is colder, it forms Advection fog. This often happens very late afternoon or early evening. Up/Down sun: Illumination by the sun creates a situation of poor visibility range into the sun. The best conditions occur when looking with the sun at your back (called “down sun”). 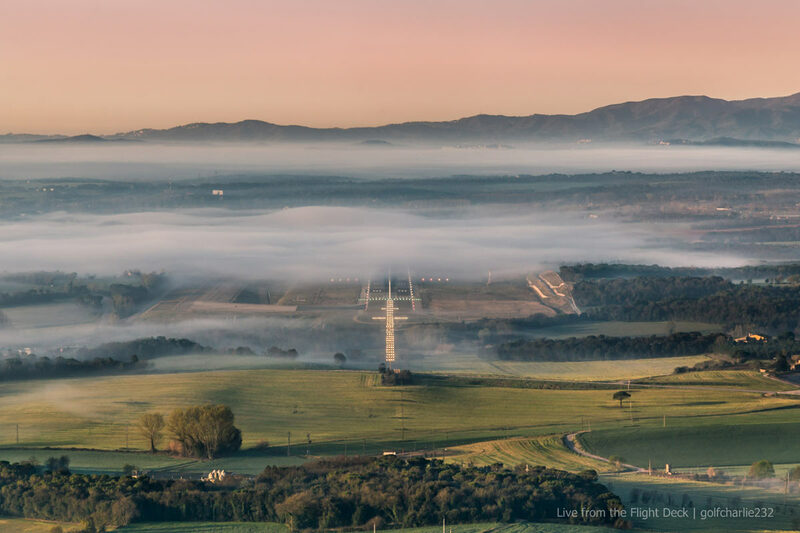 In low light conditions (end of the day) and with a haze layer, a pilot overflying an airport can easily see the runway looking down, but when turning onto final approach the viewing angle to the runway is now a slanted line of sight, and this reduces visibility greatly. This is especially an issue when flying towards the sun. 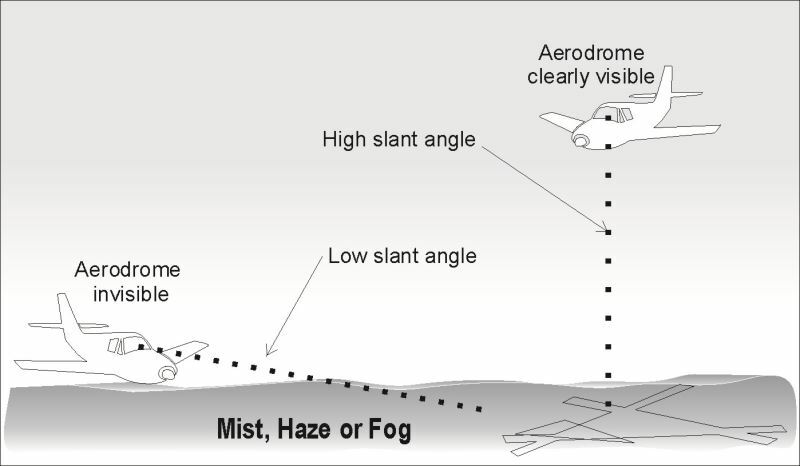 With a hazy, grey background our eyes will tend to focus about 3 meters (called empty field myopia) without the pilot noticing it, making it very difficult to detect other aircraft. This could lead to a collision. Combat this effect by focussing on your wingtips and any other item further than 2-3m from yourself. 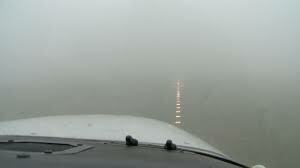 No matter how you look at it, neither fog nor mist is something that VFR pilots should even consider flying in. The danger must be acknowledged. It is possible to encounter either when returning very late in the afternoon, or perhaps having taken off before sunrise (with a night rating of course!) and then seeing radiation fog form at sunrise. Watch your outside temperature and dewpoint spread and remember the significance of this relationship. Clean your windows!! A clean and dry windscreen also helps increase visibility range (and reduces accidents), as do clean sun glasses and spectacles. Images taken from the internet. All credits to the photographers. Thank you.